We are suckers for this stuff around our house. It makes veggies perfectly dippable and salads ridiculously indulgent. And if you ask me, its tough to find a store bought version that is worth eating…which isn’t such a bad thing because its a cinch to make at home with just a few simple ingredients. And in my opinion, guilt free if you are using an olive oil based mayo. This doesn’t last long in our fridge. 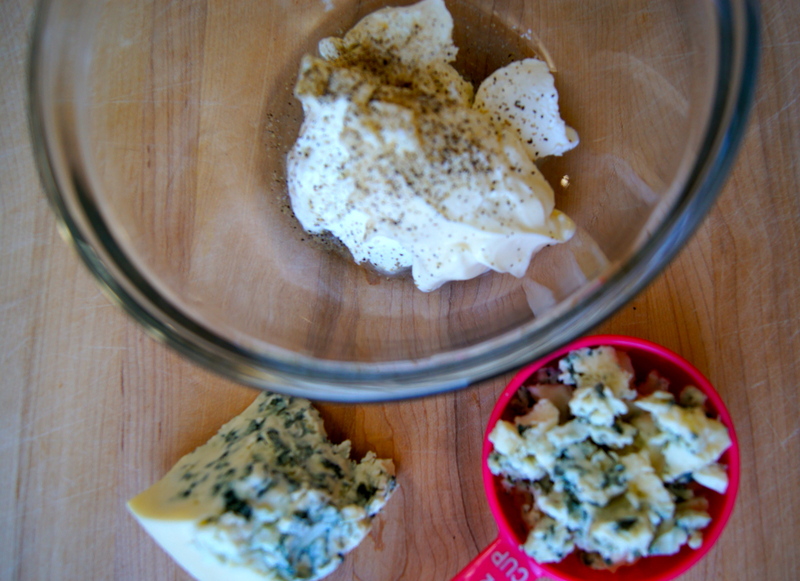 Notes: Using a block of bleu cheese and crumbling it yourself yields MUCH better results than buying the cheese already crumbled…the crumbles tend to be very dry. 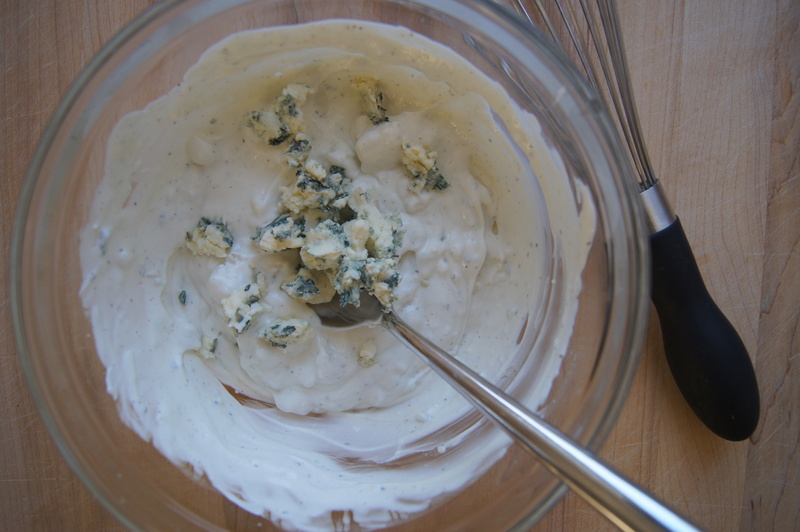 In a medium bowl whisk together the yogurt, mayonnaise and vinegar until well combined. Stir in the bleu cheese and season with salt and pepper, to taste. Store in the refrigerator in an air tight container.